Welcome to the brand new site of the Rotary Club of Macau! The Rotary Club of Macau was chartered in 1947 and it is the second oldest club in our district. With 60 years of club history, it is part of my goals within my capacities to start a new decade with new ideas and visions that allow us to serve our community through innovation, creativity, enthusiasm, and dedication, as well as to provide aid to other parts of the world through the opportunities that our Club and Rotary International offer. Service Above Self is the Rotary motto, and this year’s theme Rotary Shares, is an extension of that fundamental ideal. We invite you to learn more about Rotary, our club and its members, as well as the numerous service projects we support via this brand new website, through which you will be shared with resourceful information from Rotarians, Rotaractors and other contributors. This site also is brought to as part of an effort to recover our Club’s history that is so rich, while at the same time, strive for continual improvements in our club and community. 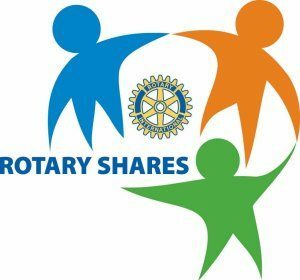 Let us all share Rotary!